I almost chickened out on reading this book. I got my much-anticipated library copy, opened to the first page, saw some really scary-looking free-form verse, and chose another book to read instead. But then the due date was fast approaching, and I couldn't let myself give in to fear and return it without even trying. I decided I would at least give it a few pages and see how it went. After all, I was an English major, dammit! Who are experimental novels meant for, if not weirdos and masochists like me? And wouldn't you know it, after just a handful of pages the style settled down into something a little more accessible and I was sucked right into the story. I think because I knew about the gimmicky publishing quirk, I expected the book itself to be a bit gimmicky, so I was surprised and a little disheartened at how much effort I had to put into the reading. I adore books with repeating motifs and little connections from one section to another, so going in I expected the two halves of How to Be Both to click together a bit more snugly than they do. Sure, there is an impressive amount of overlap between the stories, especially considering how far apart they are in terms of geography and time, but I was expecting a big aha, rabbit out of the hat moment at the end of the second section, and that just didn't happen. In this case, I would have been better off to have read a lot less about the book before attempting it, as my unmet expectations tempered my enjoyment. So I'll skip any further plot summary in hopes of saving you from the same reading fate. I'll just say that this book is a challenge with subtle rewards. 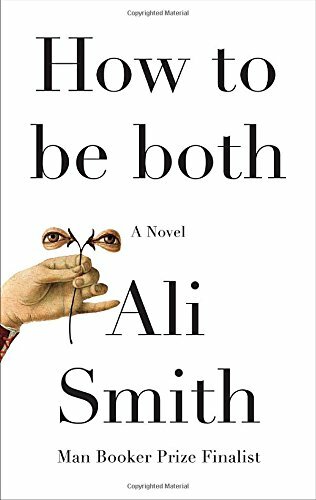 The way Smith plays with gender, time, memory, and the structure of the novel itself is like nothing I've encountered before.